Many people think that if they fall on another’s property they automatically can sue the other person for damages. It is not that simple. The status of the person on the premises is important in these cases as well as the concept of actual or constructive knowledge. If you or someone you know was injured in a premises liability accident and has incurred medical bills and lost wages, you need to find the right premises liability lawyer. Call the premises liability law firm of Foran & Foran, P.A. today! We can help. 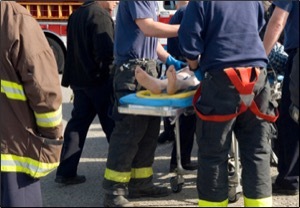 The best threat that you have as an injured person is the ability to file a lawsuit. Make sure you are represented by a personal injury law firm that will file a lawsuit on your behalf where appropriate and take the case through trial if necessary. The standard of care required to be provided in a premises liability case often is determined by the status of the person injured. Status simply means whether the person is a business invitee, an invitee, a social guest, a bare licensee or a trespasser. The care required is the highest for an invitee and/or business invitee. For example, the care required to be provided for an invitee is that degree of care that a reasonable person would use under similar circumstances to make sure the premises are safe. On the other hand, the care required for a trespasser is virtually non-existent. One merely needs to not intentionally hurt another person since the person takes the property as he or she finds it. If one cannot establish facts sufficient to prove the care required was not provided, the case will fail. Often on premises liability cases there is a requirement of notice. Notice simply means that to hold an owner or occupier of property responsible for damages one should prove that he or she knew or had reason to know of the dangerous condition. Knowledge can be actual or implied knowledge. Actual knowledge is when the owner or occupier had knowledge as a result of seeing the condition or someone having told the owner or occupier of the condition before the accident. If one can prove actual knowledge, the owner or occupier can be held liable. However, actual knowledge is not always possible to prove. Under those circumstances, the injured party must prove implied or what is commonly called constructive knowledge. This may occur, for example, if one can prove the dangerous condition had been in existence for a period of time sufficient for the owner or occupier had an opportunity to see the condition by using reasonable exercise of his or her abilities. There is also a component of constructive knowledge that suggests the owner or occupier must have had the implied knowledge in sufficient time to remedy the situation. The legal information on this site is not intended to be legal advice. Contact one of our experienced premises liability attorneys or lawyers today to get specific information and answers for your specific situation.